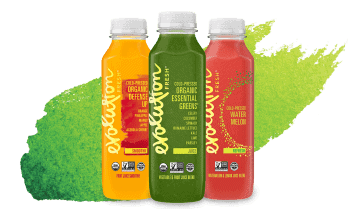 New Evolution Fresh Juice Coupon #TryEvolutionFresh | Happy Deal - Happy Day! Here is a new coupon for $1 off two single-serve bottles of Evolution Fresh juice. I haven’t tried this brand yet and totally want to get my hands on the Organic Strawberry Lemonade!! Check out all of the different flavors here. We believe in a different approach to making juice. The cold-pressed way. It’s our way of helping protect the flavor and nutrients of the raw fruits and vegetables we bring into our juicery. No added colors or flavors nature didn’t put there. Just our favorite produce, tasting as close to fresh picked as possible with minimal processing.